Halley’s Comet will not be visible again until 2061. But how did scientists discover how to accurately predict its return? For centuries comets were believed to be harbingers of doom and destruction: the very fact that they could not be predicted meant that they were interpreted as signs and portents. 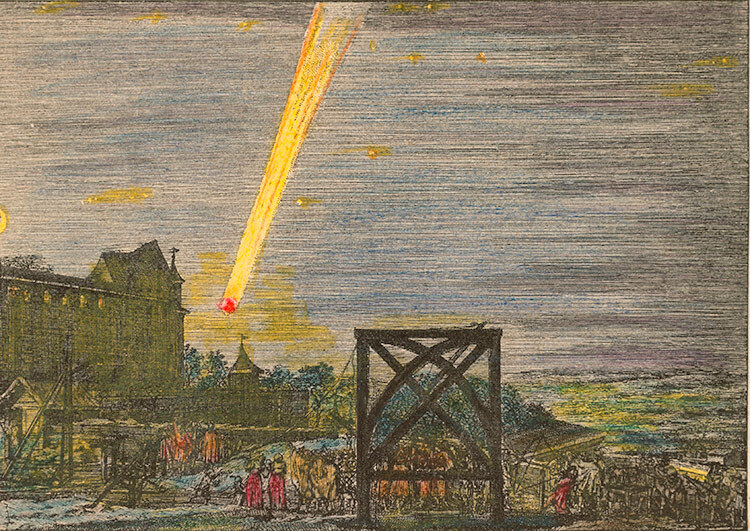 But in 1705 the astronomer Edmond Halley turned comets into common or garden objects orbiting the sun by claiming to have identified one which reappeared every 75 years or so and announcing that it would return in 1758. The prediction was taken up by Newton in the second edition of his Principia (1713) and Halley later revised it to late 1758 or early 1759.